A fiscal conservative with a track record of fighting crime and protecting families, Mike Regan was elected to the Pennsylvania Senate in November 2016. He also served two productive terms in the state House of Representatives, after compiling more than two decades of law enforcement and public safety experience, which continues to inspire his legislative successes, constituent outreach and community service. He currently serves as Vice-Chairman of the Senate Communications & Technology Committee, and as a member of the Senate Law & Justice Committee; Agriculture & Rural Affairs Committee; Consumer Protection & Professional Licensure Committee; State Government Committee; and Veterans Affairs & Emergency Preparedness Committee. Born and raised in central Pennsylvania, Mike served as a member of the U.S. Marshals Service within the U.S. Department of Justice, beginning in 1988. He began his career as a Deputy U.S. Marshal in the Southern District of Florida. In 1990, he returned to the Commonwealth as a Deputy U.S. Marshal in the Middle District of Pennsylvania, and ascended to the post of Fugitive Task Force Commander in 1995. In 2002, President George W. Bush nominated Mike to become the U.S. Marshal for the Middle District of Pennsylvania. He was confirmed by the U.S. Senate and served capably until his retirement in 2011, after 23 years of service. His extraordinary crime-fighting efforts led to his selection for the prestigious Public Service Excellence Award from the City of Harrisburg, and the U.S. Marshals Distinguished Service Medal. 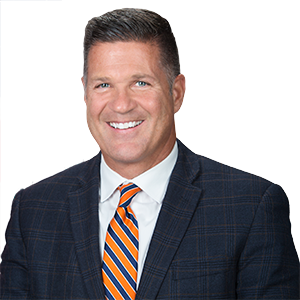 Following his retirement, Mike was named Deputy Inspector General of Pennsylvania, where he directed efforts to prevent, investigate and eradicate waste, fraud and abuse in state agencies and the Department of Public Welfare (now the Department of Human Services). Elected to the state House of Representatives in 2012, Mike served on the Insurance, Judiciary, Liquor, and Veterans Affairs & Emergency Preparedness Committees, emerging as a leader on sanctuary cities, medical cannabis, welfare reform, liquor privatization, gaming improvements, school funding equity, local tax reform, the heroin epidemic, veterans, and other key issues. In his first term in the House, Mike authored legislation to strengthen the penalties for unlawfully luring a child into a motor vehicle or structure, which was passed unanimously in both chambers and signed into law as Act 166 of 2013. He also authored Act 7 of 2016, which reformed horse racing and gaming laws and protected historical distilleries. Mike graduated from Cedar Cliff High School in 1980 and received a bachelor’s degree in criminal justice from Albright College. Mike and his wife, Fran, are raising their four children in Carroll Township, in the Northern York School District. Over the years, Mike has inspired children as a wrestling and football coach and a Dillsburg-area soccer coach. The 31st District includes parts of Cumberland and York Counties.